Top shot. 10. This girl would light up anywhere she went! Oh, and the radiant backlighting counts too! Love the back lighting and what a lovely model. 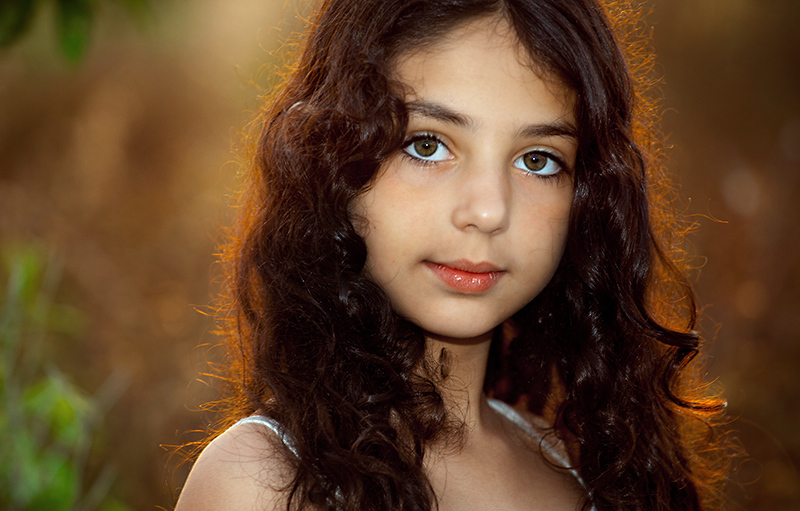 Gorgeous little girl, and I love the glow in her hair from the sunlight behind. The light on her face seems a little harsh to me. I can't quite put my finger on it. I can see that the catch-light is nearly center in her eye, so perhaps it was a camera mounted flash? There's also some dark shadowing under her chin on her neck. I think a softer/diffused front light source would have made this good image great. It's still pretty damn good though, because of how beautiful she is and that great glow through her hair. The burst of green on the left is also complimentary to the whole. Proudly hosted by Sargasso Networks. Current Server Time: 04/18/2019 01:10:22 PM EDT.